I presented my research paper at IEEE conference ICIT 2012 in Athens. Born in Loznica, 1984. Educated in Belgrade. B.Sc. in Computer Science (2008), School of Electrical Engineering, University of Belgrade. M.Sc. in Computer Science (2010), School of Electrical Engineering, University of Belgrade. 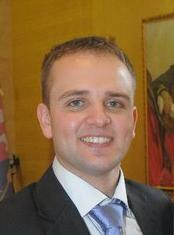 A PhD candidate at the School of Electrical Engineering, University of Belgrade. Teaching at the University of Belgrade, School of Electrical Engineering. Research and development in computer science. Fields: model-driven development with executable UML, object-oriented information systems, wireless sensor networks. Participation in software development projects. Industrial experience since 2005.